Save even more on RES Supply's every day low Mission Solar prices by purchasing a pallet. Or purchase multiple pallets to take advantage of our low $149 flat rate shipping. If you need assistance selecting additional parts for your system, add our design service – free with a full system purchase. We can even help with the permit process when you order one of our permit packages. Our great service combined with the low price on the MSE300SQ5T-PT Pallet is a value that can't be beat. Mission Solar Energy is a U.S. Photovoltaic (PV) solar module manufacturer based in San Antonio, Texas. 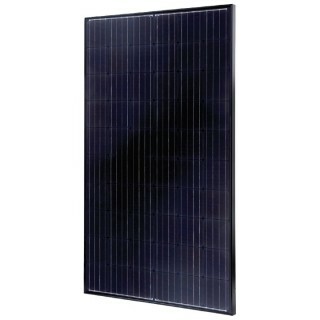 They produce high quality solar modules for a variety of rooftop and ground applications. They believe solar technology has the capacity to change our world by providing clean, accessible power to communities across the globe. Mission Solar Energy is passionate about manufacturing state-of-the-art solar technology that is guaranteed to last, and is committed to continuing to provide the world with new solar technology through continued research and innovation. Whenever possible, they purchase from local or U.S. vendors to amplify their impact on the U.S. economy. Their products exceed International Electrotechnical Commission (IEC) standards by three times the minimum standard. This has been verified by third-party testing laboratories and our PAN files are based on these outstanding results. The Mission Solar MSE300SQ5T-PT Pallet is a 60-cell PERC solar panel featuring a sleek, all-black design (designated by SQ5T) coupled with outstanding power output makes it ideal for all types of installations including commercial and residential rooftop systems. You will get outstanding performance from the MSE300SQ5T-PT Pallet with PERC (Passivated Emitter Rear Cell) technology which provides excellent power output through advanced cell architecture. Mission Solar's modules receive multiple quality checks throughout the manufacturing process and are subject to stringent quality and reliability testing. Which the video below to learn more about their Commitment to Quality. Each product exceeds industry requirements and is backed by an independent 25-year linear warranty.